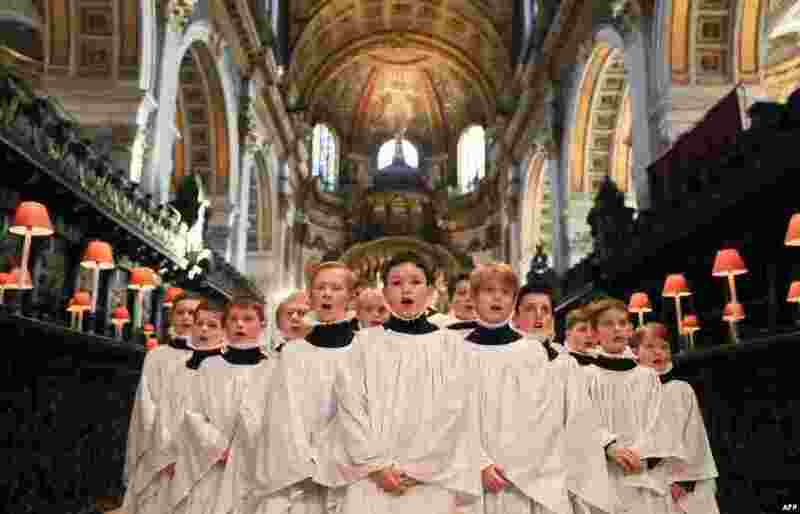 1 Choristers sing during a rehearsal for their upcoming Christmas performances, at St Paul's Cathedral in central London. 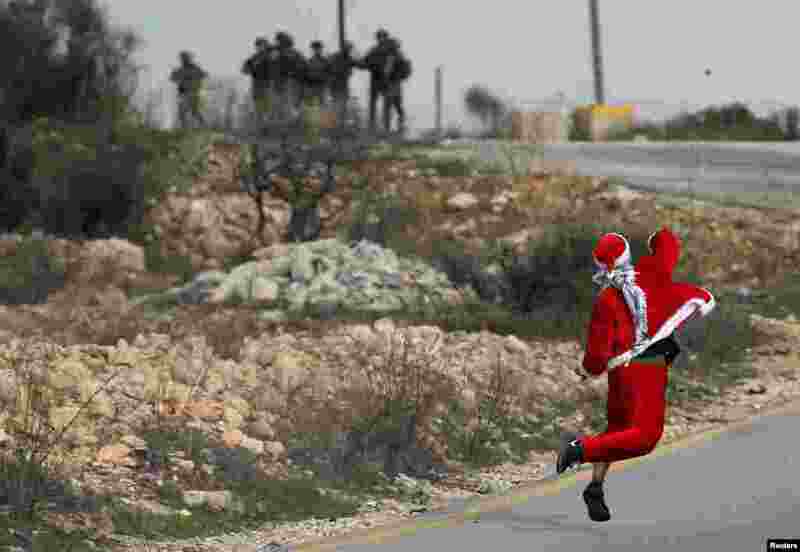 2 A Palestinian demonstrator dressed as Santa Claus hurls stones towards Israeli troops during clashes at a protest against U.S. President Donald Trump's decision to recognize Jerusalem as the capital of Israel, near the West Bank city of Ramallah. 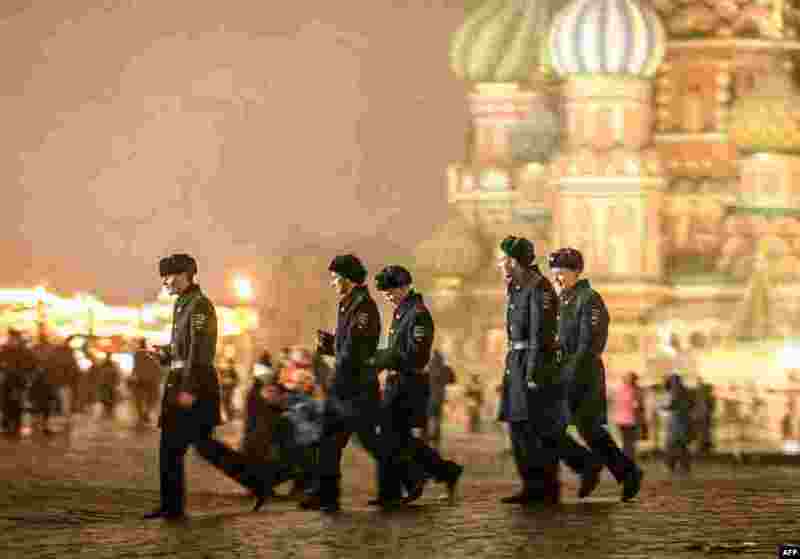 3 Military cadets walk under the snow in front of St Basil Cathedral on Red Square in Moscow. 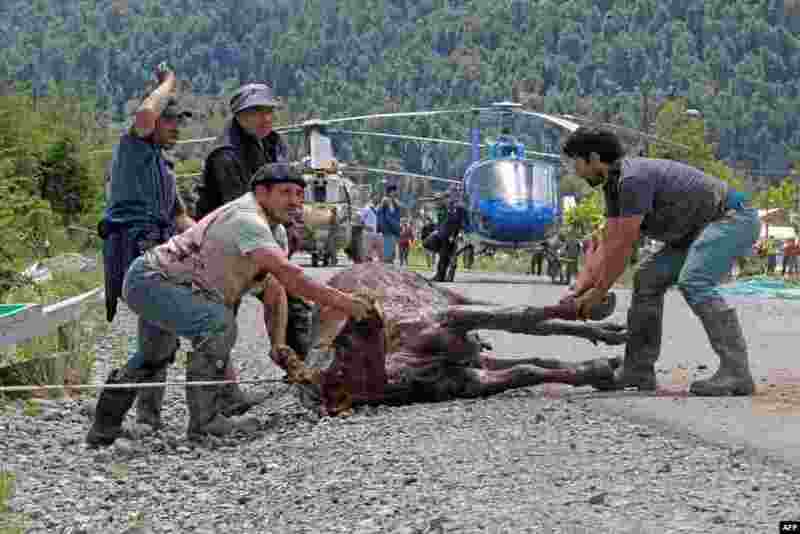 4 A cow is rescued in Villa Santa Lucia near Chaiten in southern Chile, after a landslide due to heavy rains devastated the area leaving at least 12 dead and 15 missing.